I had the pleasure of being invited out to visit DPR Breaking located at Orchard Hills. Firstly to visit Count Encosta (which I will share under a different post) and secondly, to meet Daniel Robinson an amazing young man who has built his business building a bond with each and every horse he has the pleasure of educating. 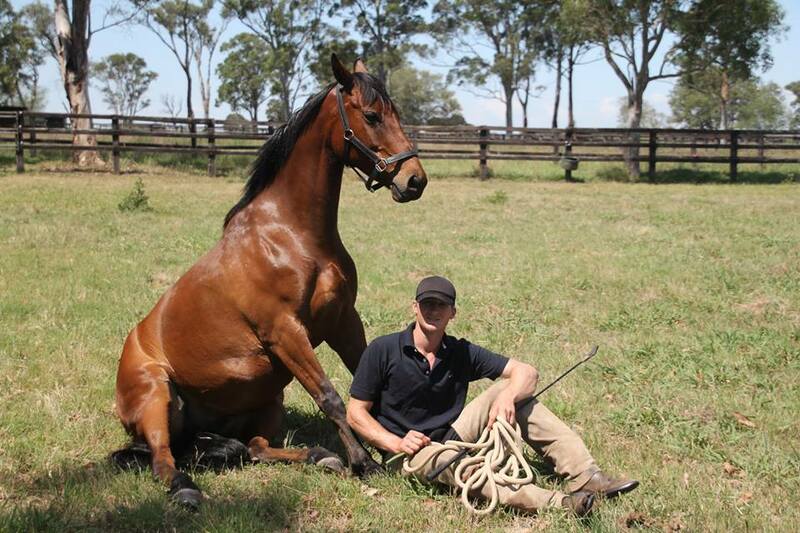 Since moving to Australia, Daniel has had the opportunities to work for trainers such as David Hayes, John Thompson (Patinack Farm) and Sydney premiership winner Chris Waller. Dan is all about striving to create the best environment and experience for any horse that comes into his care, from problem horses to the young and inexperienced. The world is at Dan’s feet and with a stable full of outstanding bred horses, it is easy to see why the top trainers trust Dan with their newly purchased yearlings or in some case, those a little troubled to get to understand them – never to break their spirit. I came away in awe and filled with love for the thoroughbred knowing they are all in good hands and enjoying their life. Dan joins our line up of outstanding people achieving outstanding results in the thoroughbred industry and unites with us in our “We Care” campaign.